Fun Friday: What’s Your Royal Name? Last week we had fun coming up with our Superhero/Supervillain names. This week we’re taking a spin at Cinderella’s ball and coming up with our Aristocratic/Royal Names. I am the Countess Parker Dacus-Beaumont. You may call me my lady or Lady Dacus-Beaumont. 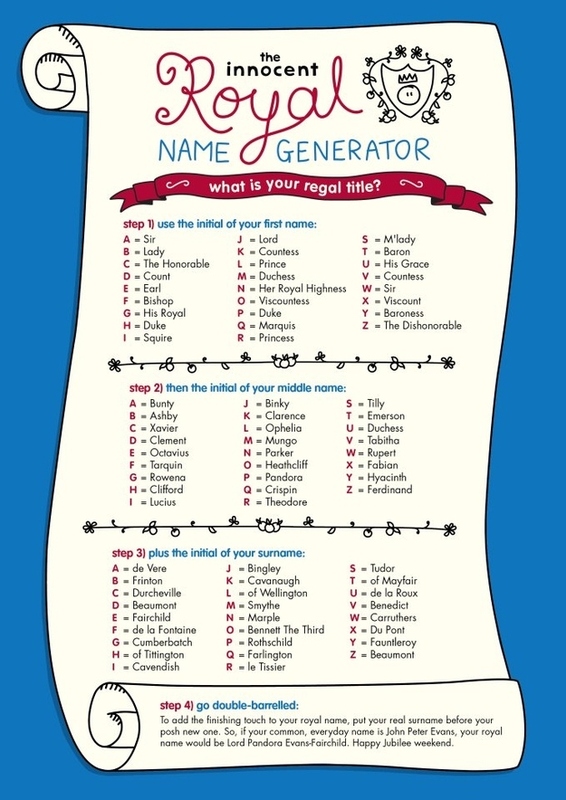 What’s your Royal/Aristocratic name? ‘Ello, my name is Count Binky Carruthers. Missed reading number 4. So in reality my name would be Count Binky Wagner-Carruthers. me either and we both get a guys name! Yes, so far my initials have not been well favored in these name games. 🙂 lol. And BUNTY? What is that short for? The Honorable Binky Cumberbatch, at your service. Oooh, Binky, dahling… any relation to Benedict? Can you get me his autograph? I am Bishop Octavius Key-Cavanaugh. Saturday Silliness time! Who are you ‘royally’ speaking? Wrong gender, so it should be Countess Mungo Tudor.